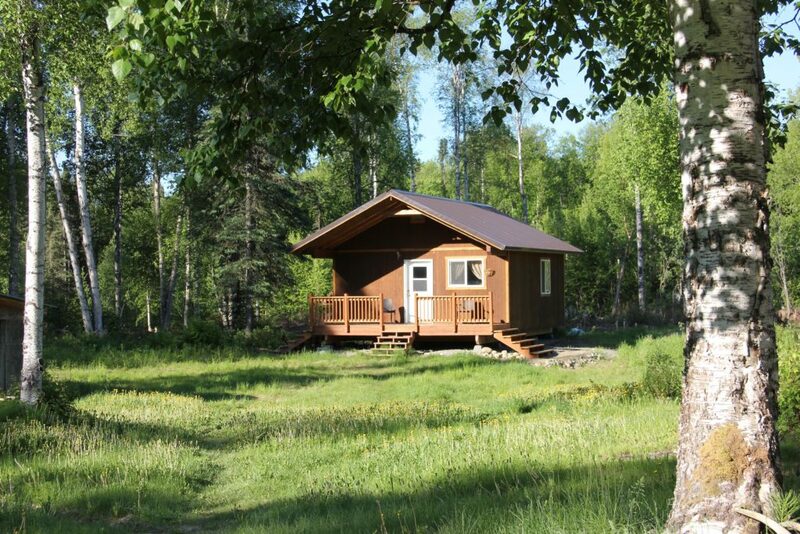 The Grove provides lodging in Talkeetna for travelers of many kinds, whether you’re a family of 4 looking for a cabin near Denali National Park, an adventurous couple of 2, a solo traveler on your own. Whether you’re a fan of Talkeetna cottages or have a camper or tent of your own, The Grove permaculture farm can help with you Talkeetna accommodation needs and desires, however big or small. 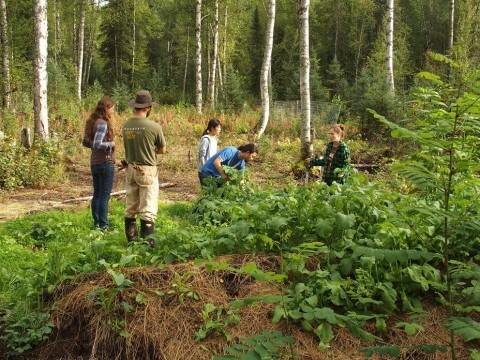 Guests interested in ecotourism in Talkeetna will be especially interested in the The Grove. Rowan cabin provides the most independent, private accommodation on the property. It is a 1-bedroom frame cabin with a kitchen and dining area. There’s an outhouse outside the front door for bathroom use, or it’s a short walk to the main cabin for indoor bathroom use. Currently you can book the Rowan cabin instantly through our AirBnb listing, by clicking the picture directly below. If you’ve never used AirBnb, you get $40 off your first stay when you sign up via our friend link. View On AirbnbSustainable Farmstead Living at The Grove! You’re also welcome to book directly through us here at The Grove website through our Rowan Cabin Rental link (or click the picture below), but please BE SURE to check with us in regards to availability prior to paying to ensure availability. The Tiny House is a marvelously efficient use of space for surprising comfort. Come see why this living space seems like it’s 3 times as big as it is! 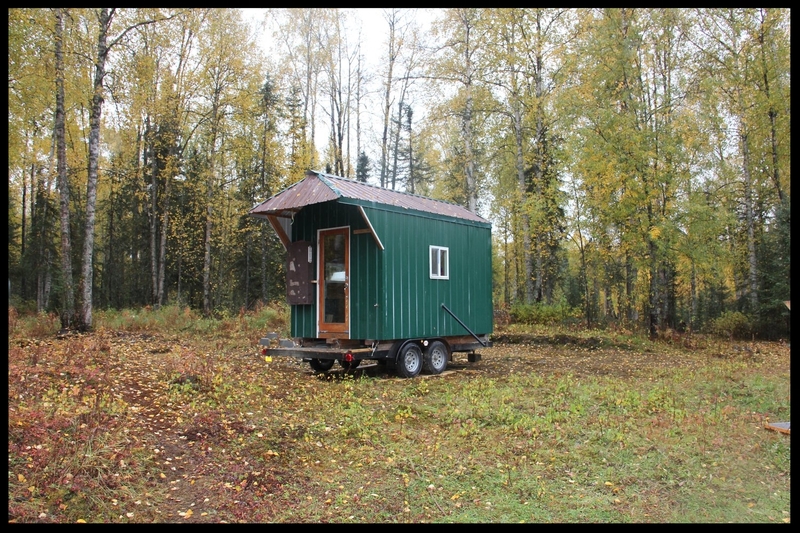 Please contact us to see if the tiny house is available to accommodate your Talkeetna lodging needs. Please be advised that none the accommodations have indoor bathroom facilities. So if you are someone who needs an indoor bathroom in your accommodation at room temperature with running, hot water, and flush toilets, The Grove is not for you. There is, however, indoor bathroom facilities inside the main cabin, just a short walk away from each accommodation for those who may need this amenity for whatever reason. Also, a shower and laundry facilities are available in the main cabin on a first-come, first-served basis. Use of the Main hall at The Grove is always encouraged, so long as there is not a private event happening. This is a magnificent space that is ideal for reading, game playing, socializing, or planning out the rest of your trip with the rest of your friends and family staying at The Grove. If interested, feel free to inquire about using the main kitchen to cook a meal or bake some treats for the road, or about using the projector and screen for a theater-like movie experience. These amenities will be offered at a first-come, first-served basis, and at the availability from private events, so please do not assume access to this area of The Grove. Hours of use for the Grand Hall is 7am to 11pm. Be advised that there is some adult material on the ceiling of the main called, known as the Sistine Chapel of Alaska. Please click the link for more information and use discretion when using the facility. It’s nothing that we would hide from our children or that most folks in Talkeetna are offended by. Complimentary coffee, juice, and a light breakfast is served daily at The Grove in the Grand Hall from 7-10am. You are more than welcome to cook a more extensive breakfast in your own accommodation (or perhaps the kitchen in the Grand Hall). If interested, please inquire about purchasing eggs, potatoes, bacon, or other farm fresh products from the property. Graham explains farm operations to a visitor as our Talkeetna farm volunteers and interns work on a permaculture project. If you’re interested in the farm operations at The Grove and would like a more intimate look into how the farm operates, feel free to ask Graham or Mindy about a farm tour. Farm life is incredibly demanding, so no promises. But if time permits, they love to show guests what they’re up to and reveal the larger picture of the vision here at The Grove.